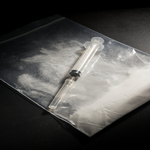 In recent years there has been growing trend of mixing the opioid narcotic fentanyl with heroin, an admixture that has resulted in a large number of overdoses throughout the country. Most drug users aren’t even aware of the presence of fentanyl in their heroin, which means they do not alter the amount of their dose - an error that can prove to be tragic. Perhaps you may be wondering why heroin dealers would lace their product with another opioid. Heroin passes through many hands before it reaches the hands of an addict. As the drug travels among the various hands the purity diminishes along the way, due to a process known as “stomping” - the act of adding benign ingredients to a drug to increase the amount that can be sold, thus increasing profits. By the time the drug arrives on the street, the purity can be extremely weak and that is where fentanyl comes into the picture. Fentanyl is 80 to 100 times stronger than morphine, and is used by physicians to treat severe pain. What’s more, fentanyl is approximately 40 to 50 times more potent than pharmaceutical grade heroin, and hundreds of times more potent than street heroin. While mixing fentanyl to heroin makes it stronger, it also makes heroin much more deadly because fentanyl in high doses can cause life-threatening respiratory distress when used with other drugs. Fentanyl is being made with relative ease in clandestine laboratories, and there is high likelihood that we will see more fentanyl/heroin overdose deaths. In the near future there may be a vaccine available that will block the effects of fentanyl in the human body. Researchers have been working on vaccine that actually destroys fentanyl in the blood stream before it crosses the blood-brain barrier, Popular Science reports. A research team at The Scripps Research Institute (TSRI) injected mice with modified fentanyl molecules three times over the course of six weeks. Amazingly, mice that were given the vaccine were unable to get high on the drug and most of the vaccinated mice survived a lethal dose of fentanyl a month later. The vaccine is not ready for human trials and it is important to keep in mind that the vaccine will only target fentanyl; it will have no effect on other opioid narcotics, according to the article. However, down the road the researchers would like to experiment with a vaccine that targets both fentanyl and heroin. The research was published yesterday in the journal Angewandte Chemie.